On June 5, 2016, Southwest launched its first flights from Long Beach with 4 daily to Oakland. With a year’s worth of data from the feds now available, I turned to the numbers to see exactly what the impact has been and how it stacks up against other Southern California – Oakland markets. Is there really still a “Southwest Effect”? I suppose there is, but this one isn’t the sustainable transformation Southwest likes to tout. Let’s start with a pretty basic metric here. How full have the airplanes been since Southwest put flights into a market that was previously a monopoly route for JetBlue? As you can see, once Southwest started, it started slow, but then the airline began ramping up. Winter was bad with far too much capacity out there, but by the time the second quarter of this year came around, things had improved… more for Southwest than JetBlue. Load factors mean nothing in a vacuum, however. It’s only helpful when you know what kind of fares were filling those seats. So, let’s take a look at that. Well, there’s that vaunted “Southwest Effect” in action, right? Southwest enters the market, fares plunge, and a ton more passengers can afford to fly. When Southwest came to Long Beach fares instantly dropped more than 10 percent to Oakland. The winter quarter was so ugly that fares were dirt cheap and loads were low for both airlines. But as we saw with load factors, things began to climb again in the second quarter, though still far below where they were. The number of passengers absolutely jumped. Look at what happened to local (non-connecting) passenger numbers (all airlines) in Long Beach – Oakland versus other Southern California airports. But here’s the thing about that Southwest Effect. It’s supposed to be the permanent result of Southwest coming in and structurally lowering fares that were high due to lack of competition. Only one problem: the fares weren’t high before. To get a better sense of fare levels, look at Southwest’s average fares on each of the SoCal – Oakland routes. As you can see, Long Beach fares are terrible if you’re Southwest and fantastic if you’re a traveler. Of course, Ontario, Burbank, and Orange County are monopoly markets for Southwest, so you’d think they might see higher fares. But when JetBlue had Long Beach all to itself, its fares were still well below what Southwest gets in its monopoly markets. (It also had fewer seats.) This wasn’t about Southwest trying to stimulate traffic with everyday low fares. This was about Southwest going in with abnormally-low fares to try to get a toe-hold in the market… and likely hope it runs JetBlue out. So yes, it’s ugly, but could there be other factors at work here? Maybe the load factors in those other markets are much lower, and this is a new strategy for Southwest to test out. Nope. Long Beach is middle of the pack here, so that’s not it. You might be surprised to see that Los Angeles (LAX) has the lowest load factor and fare, but you shouldn’t be. Southwest runs a very heavy schedule in that market since it’s squarely aimed at business travelers. It’s also the only market outside Long Beach that has competition. Spirit and Delta are both in there. And now, time for a minor tangent. Take a look at LAX a little more closely. It has the most passengers of course, but it looks like Southwest got nervous about Spirit being in that LA-Oakland market. It dropped fares even further in the last couple quarters and took more local passengers (not shown here, but it’s true). That filled up the airplanes more, but it was probably revenue-neutral at best. Still, it may have kept Spirit further at bay. Tangent, over. Back to the point at hand. In the end, Long Beach looks like a bloodbath. Southwest has certainly attracted passengers to the route, but only through rock-bottom fares that aren’t likely to be sustainable in the long run. If Southwest wants to win this war of attrition, it probably can. For JetBlue, it’s just another example of the airline’s problems with its West Coast strategy. From Long Beach, Oakland fares aren’t great for the airline, but they are better than flight with similar stage lengths to Reno, San Jose, and San Francisco. The only one of a similar distance that held up well? Sacramento. Oh, but Southwest started that in the third quarter of this year. I’m sure we’ll see that one tanking in the next data release. As long as people keep believing Southwest’s hype, there will be a “Southwest Effect.” Luckily, people are now aware that the only time Southwest consistently has the lowest fares is when you only check Southwest.com and don’t look elsewhere. Thanks, but my vote is with Healthy Competition. 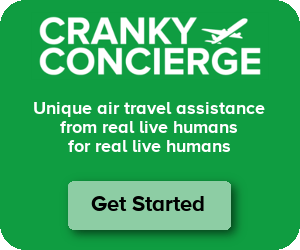 Thanks for the usual right-on assessment, Cranky! Add me to the camp that believes the “Southwest effect” harkens back to a time when they were the little guy – before the advent of our modern ULCC. Granted I’m not flying LGB-OAK but 99 of 100 times I check fares WN is not the cheapest and almost always requires a connection. Now adding competition to a route usually pushes fares down, and that’s good for those flying, but let’s not pretend WN is some savior, swooping into a market for good of the little guy. And for the road warrior I’d take status on the legacies over WN due to the much better perks, but kudos to Southwest for having a whole lot of people thinking they’re getting a deal flying them. Agreed. I check Southwest, especially when I see a sale advertised, but they are rarely the cheapest for me, even if I am planning on checking a bag (which I usually do not) and add other airlines’ checked bag fees into the mix. Also, not to be snobbish about it, but in my experience Southwest attracts more clueless leisure travelers than any other airline of its size, and between that and the cattle call (or having to set reminders to check in exactly at 24 hours and get a decent boarding number) I prefer the pax and boarding experience on legacy airlines. A 6a Monday morning flight on AA or United may not be super fun, but at least with that time and airline I know that most of the flight is going to be quiet business people. Agreed! The “Southwest Effect” is a delusion held by people who haven’t checked anything but WN for the last 10-20 years or assume that the bags flying free make the ticket more worth the price of the legacy three. I am a travel coordinator for an academic conference and need to get multiple persons from multiple origins into the same city at about the same time. For one of the routes, in the last 2-3 years, the WN price has been rising. Last year, AA was substantially cheaper for the same arrival time (within 15 min of each other) and type (direct). DL and UA holding at similar prices for the same arrival time with 1 connection. It was cheap enough on AA/DL/UA that even counting the fee to check 2 bags both way per person barely put you over the WN ticket price. Wow I didn’t know this kind of data was available to the public! Is there a website that you can search on this kind of info? Speaking of Long Beach, what do you think of the new free express shuttle bus between the airport and the Blue Line (Wardlow station)? According to the above flyer, “The service is made possible through a subsidy from the City of Long Beach to Long Beach Transit”. Personally, I don’t see the point. Blue Line passengers are already served by a direct bus, 102/104, between the airport and the Blue Line (Willow station). The express bus will be faster and free, but with the small number of passengers at LGB this will probably be underutilized, and I’d rather see the city spend its resources where they’ll have more impact. The 102/104, 111 and 176 buses all connect the airport to the Blue Line, but at different stations (Willow, PCH, or downtown). So if you’re arriving at LGB, you’ve got four lines to choose from, but if you’re flying out from LGB, you’ve got to decide which station to go to to meet a bus… and none of them run all that often, compared to the Blue Line trains. But I like this new shuttle option, since its departure times will be more predictable. Yes, but how many people will the shuttle serve? They’re running 26 daily trips in each direction, for an airport that is limited to under 50 commercial flights a day. Does it make sense to run a bus for this service? This sounds superior as it appears to be a nonstop (other than traffic lights) shuttle, compared to an urban transit bus with stops every few blocks. I don’t know if Long Beach Transit has them, but if they have buses with accommodations for luggage (either luggage racks or a cargo compartment below the passenger seats like tour buses) to use on this shuttle service, that would also be good for passengers as dealing with luggage on regular transit busses can be challenging. I agree that this bus is better for passengers than current transit options for connecting the airport to the Blue Line; however, I don’t think it’s good use of city money. The city is paying for two buses, 15 hours a day, with zero farebox recovery. I’m not sure what city funds are being used for this service, but if these are transit funds, then there are better uses. If these are airport funds (after all, the city owns the airport), then I would assume the point is to drum up more business for the airport; in that case, there should be some serious marketing of the new service, and I haven’t seen any. And the buses need to stop at the curb right in front of the terminat, so that travelers will know that the service exists. The bus stop for the 102/104 is a block away, and not visible from the terminal. Ron – I think it’s just for the holidays, right? It might be used a little, but I doubt it’ll make a big dent. Yeah, that’s kind of my point — I don’t see why the city is throwing money at this service. Rumor has it that JetBlue is looking to reallocate some slots from the highly competitive shorthaul routes like these to niche markets like STS (Santa Rosa/Wine Country), HDN (Steamboat Springs) and “Montana” (presumably BZN/Bozeman). These all sound like great suggestions, and of course, places like ABQ, BOI, COS, EGE, EUG, GEG, JAC, MRY, SUN and TUS may make sense too. I’ve long believed that AUS, BOS, JFK and South Florida (FLL) work because these destinations lack nonstop service to Orange County (SNA). However, there is an abundance of service between SNA and places like LAS, OAK, PDX, SEA, SFO and SJC. I’ve even wondered about the possibility of a codeshared HA/B6 service between LGB and Hawaii – this would be a great alternative to LAX for those in Orange County! Surfandsnow – It’s not rumor. It was in a newsletter to crewmembers, but it was pretty vague. I’m not sure this is going to work, but it does seem worth a shot since what they have today isn’t working well. As for Hawai’i, I always thought Alaska should have taken a swing at it. At the time, it had no service from the LA area to Hawai’i at all (now it does via Virgin America). It easily could have routed the aircraft something like SEA-HNL-LGB-HNL-SEA if it wanted. But oh well. That ship has sailed. I know that once Southwest started to serve Long Beach, JetBlue suddenly started serving San Jose (SJC) again with multiple flights a day. It felt like JetBlue was just sitting on those slots. I wonder how the load factors are on that route? southbay – San Jose is awful. 2Q17 average fare was $68 ($74 for Oakland) and the load factor was 67 percent (Oakland was 74). Thanks once again. A wonderful case well documented. Makes you wonder, do consumers always buy the cheapest price and pretty much ignore things as on-time performance, flight frequency and timing, who is the operating carrier, seat pitch, quality of airport staff and flight crews, cleanliness of aircraft, boarding schemes, and the like? Do consumers care about favoring an airline that starts service where there wasn’t any or one who essentially is trying to break up a monopoly, assuming they are not in there just to kill off the completion and start their own monopoly? Also, even when the prices are the same, the terms behind those prices might not be. For example, to get a low fare on SWA, I generally have to buy the ticket at least two weeks in advance, sometimes more… while with Jet Blue, I’ve gotten low fares with a shorter advance purchase. And on Jet Blue I can choose my seat instead of having to join the cattle call. On the other hand, in Southwest’s favor, if I have to alter my plans or cancel a trip, there’s no change fee… the full amount of my ticket goes into my SWA ‘bank account,’ and I can use it later toward another flight — whereas Jet Blue or Alaska would impose a change fee. This article proves how trashy LGB yield is. LAX absorbs whichever capacity and still maintains high price. Other LA-area airports are doing fine. Really hard to understand what’s so special (negatively) with LGB. The same thing is happening at SMF. I fly from SMF to Southern CA 12 times a year. Last minute prices, typically less than two weeks in advance, have come down to all 6 Southern CA destinations over the past three months significantly. You can get Wanna Get away fares last minute, which weren’t previously available. I assume its two factors. 1 is Alaska entering the CA market and Southwest defending their position. They have lowered prices and added flights from SMF to BUR, even though they still have a monopoly on that route and the flights are never full. Probably to keep Alaska from even trying to enter. The other is Southwest wanting to go head to head with JetBlue. Prices from SMF to LGB we’re already cheaper on B6 than WN to LAX or SNA. Now that there is competition on SMF to LGB, WN must stay low just to match B6. Last minute airfares range about $110 each way with 2 day advanced purchase. WN also recently had a $29 each way fare sale which I hadn’t seen in years. I hope fares stay this low, but my guess is once WN solidify their position and pushes other airlines out, the prices will rise again. Does this strategy work? I can imagine it might push out B6 from inter CA routes, but I don’t see Alaska backing down from their desire for the CA routes. What kind of planes are each airline using on this route? I know B6 has both Airbuses and Embrears whereas WN uses 737’s, but what version? Would smaller planes being used decrease the number of seats, thus increasing the overall load factor? After a year, both airlines should be able to see the average number of passengers on each flight timetable and match that with a proper plane. JetBlue only flies A320s on the west coast. The Embraers work best on high yield routes to offset the higher unit costs. All Southwest flights are 737-700s so they can’t go smaller. Great analysis. As an Oakland based flyer, qualitatively I like LGB and BUR the best in regard to trips to Southern CA. The terminals are not that crowded and the recent remodel at LGB provided a very pleasant waiting area. LAX has become so impacted by Uber grid-lock I try not to fly into it, going out from SWA Term 1 isn’t so bad since it is the first stop in the LAX traffic horse shoe. Last time I flew in to Term 1, it took me exactly an hour from the time I got to the curb until I drove out of the Hertz lot thanks to the traffic.. At BUR, LGB, and SNA you can walk to the rental car areas. Well, JetBlue never intended to get into the intra-California market. The did start OAK-LGB, but were forced to fly many of the slots to hold them, same thing with LGB-LAS. Southwest is at a huge advantage in the LGB market. JetBlue can only offer local traffic. Southwest can offer connections beyond OAK and SMF (DEN and LAS also). Unfortunately BTS.Gov (TransStats), are don’t offer true numbers for ‘market’ traffic, but WN does have quite a bit of traffic going beyond OAK such as PDX, BOI, and SLC. Another advantage WN has (as pointed out in Cranky’s interview with WN), someone can fly LGB-OAK-SNA on WN. They don’t have that option on B6. I believe that’s essentially their hope with the weekend service at LGB (that someone will fly LGB-DEN-SNA). WN will offer up to 9 flights now on weekends – OAK, SMF, DEN, and LAS. In fact, the load factors to DEN have been in the 90s! Of course, we are into the ski season now! Both can co-exist! B6 will have to find their equilibrium! Also, keep in mind, the operating costs per mile is extremely high on short haul flights…will B6 look to add more east-west flights out of LGB? Thanks for sharing information about Long Beach is middle of the pack here, this is surprised to me that Los Angeles. great posting. If you planing for India tour you can enjoy in Kolkata with call girls booking start at my website.